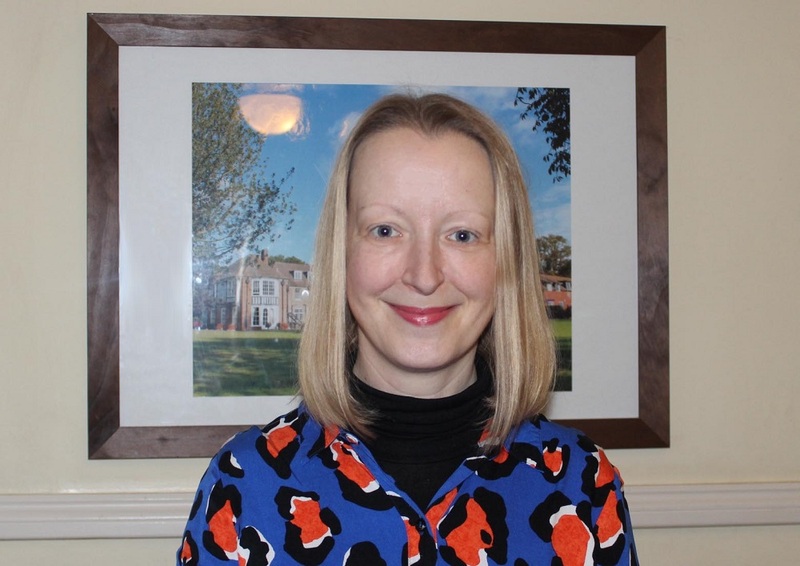 A level textiles work to feature in catalogue | Hethersett Old Hall School (HOHS) blog - an independent day and boarding school near Norwich, Norfolk. 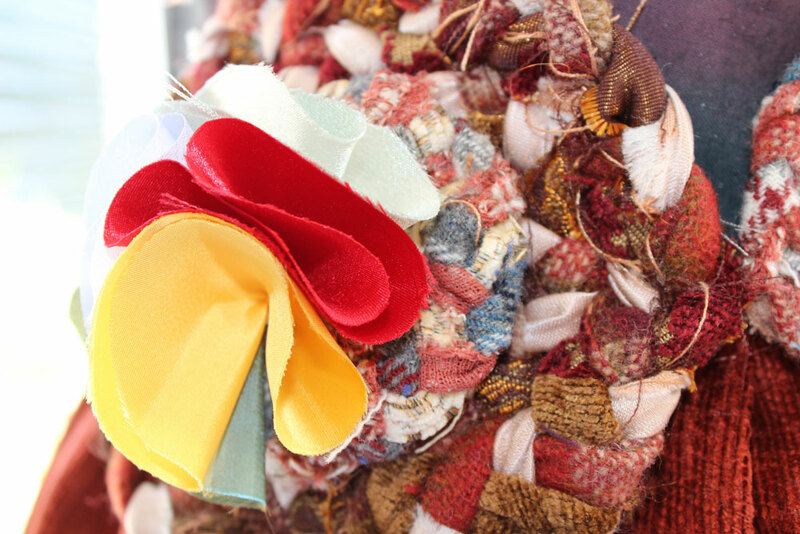 HOHS old girl Catherine Lovick is to have her A level textiles work featured in the 2014 Heart Educational catalogue. 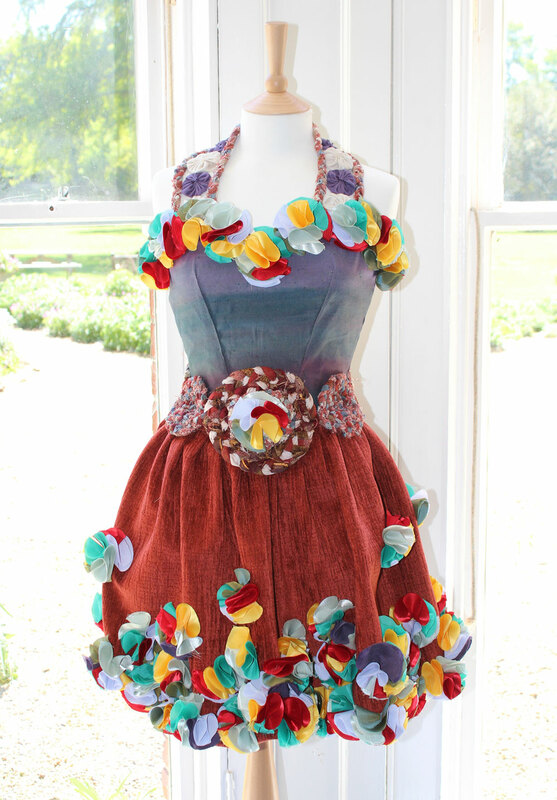 Her ‘Flower Dress’, which was made using recycled materials sourced from home, school and local charity shops, was her last A level piece for her controlled ‘Materials and Techniques’ assessment in the summer term. 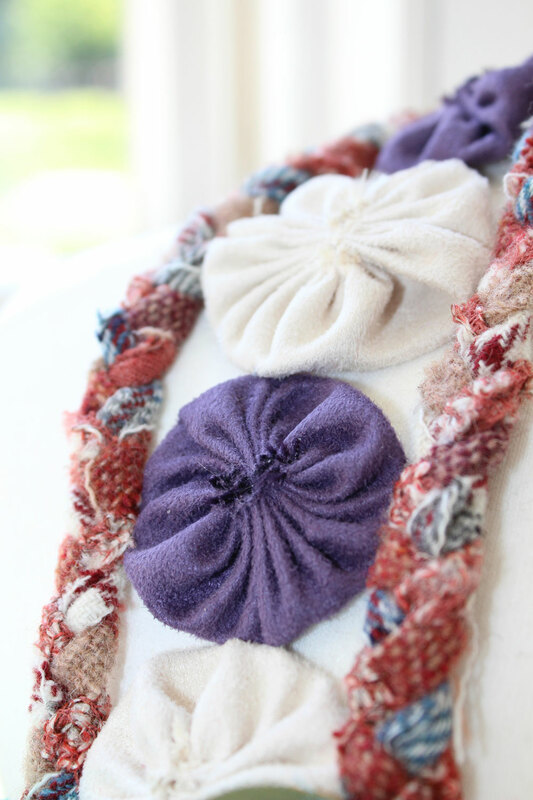 The piece was based on various traditional textile techniques that Catherine had explored and experimented with, including ‘Suffolk Puffs’, weaving, dying, embroidery and plaiting. The other techniques used, such as the flowers and the strap neck piece were her own creations. Catherine is now applying to university to study Contour fashion. Categories: AWARDS & ACCOLADES, HOHS OLD GIRLS, OTHER NEWS, OUR STAR PUPILS!, PUPIL'S WORK, SIXTH FORM, TEXTILES | Tags: 'Materials and Techniques' assessment, 2014 Heart Educational catalogue, A level textiles, Contour fashion, Cutting Edge, dying, embroidery, Hethersett Old Hall School, HOHS, Independent School, Norwich, plaiting, senior school, SIXTH FORM, Suffolk Puffs', weaving | Permalink.